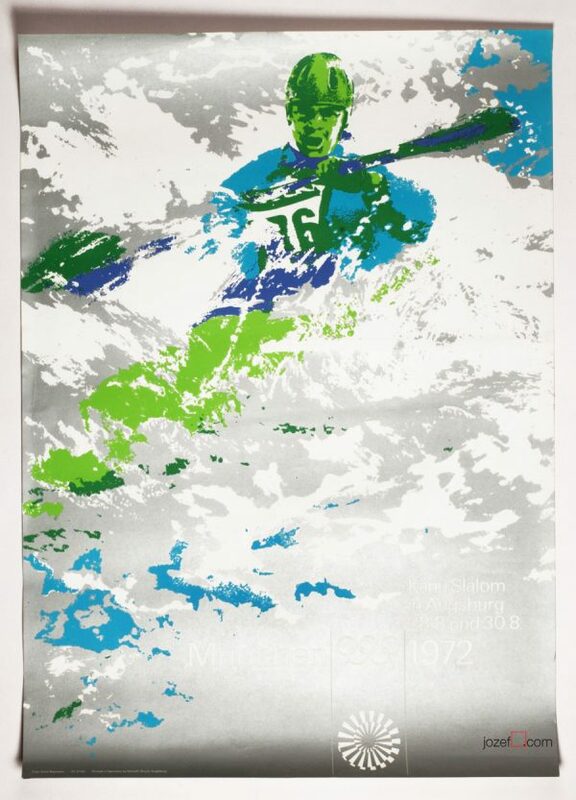 Vintage poster for 1972 Olympic Games sailing competition – One of 24 series original posters designed for Munich Olympics by Otl Aicher. 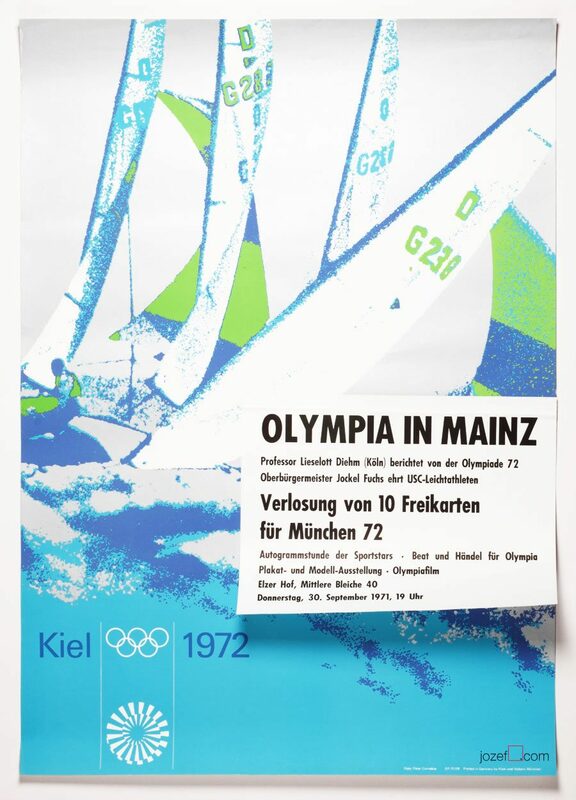 Olympic sailing poster designed by Otl Aicher as a part of his famous visual identity for 1972 Munich Olympics. The poster also has a small flyer inviting for one of the Olympic events. Superb vintage poster printed on heavy paper with stunning bright colours. Poster was never folded. Excellent near to mint condition. Print is in A1 poster size. Otto Aicher was a pioneer German Graphic designer and typographer. 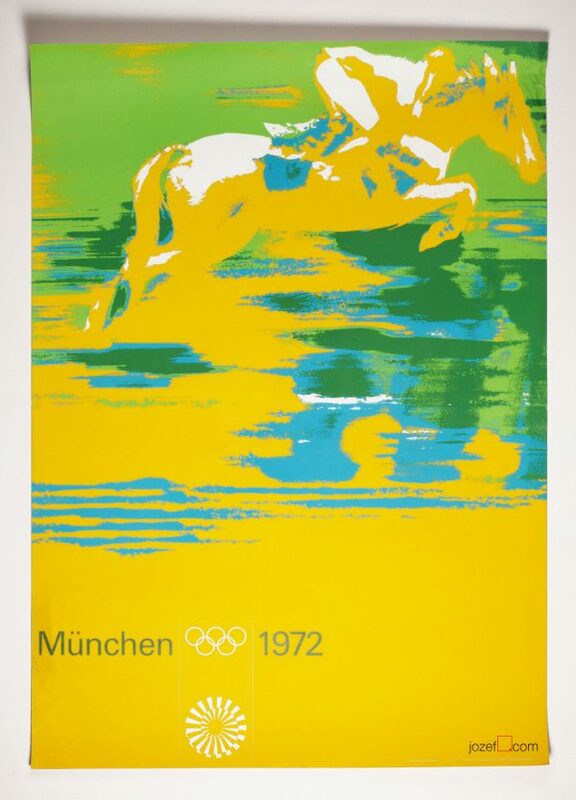 As a chief graphic designer of 1972 Munich Olympics he created a remarkable visual identity for 1972 Olympic Games in Munich, Germany. His Olympic Games posters are characteristic of the deliberate avoidance of the red and black which were traditionally associated with a Nazi Germany and the use of the bold colours with metallic effect. 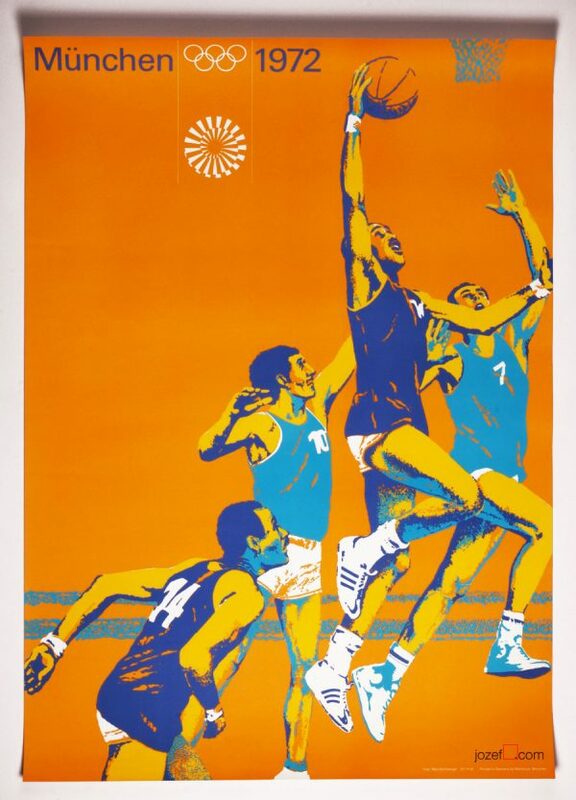 sport posters available in our poster shop. 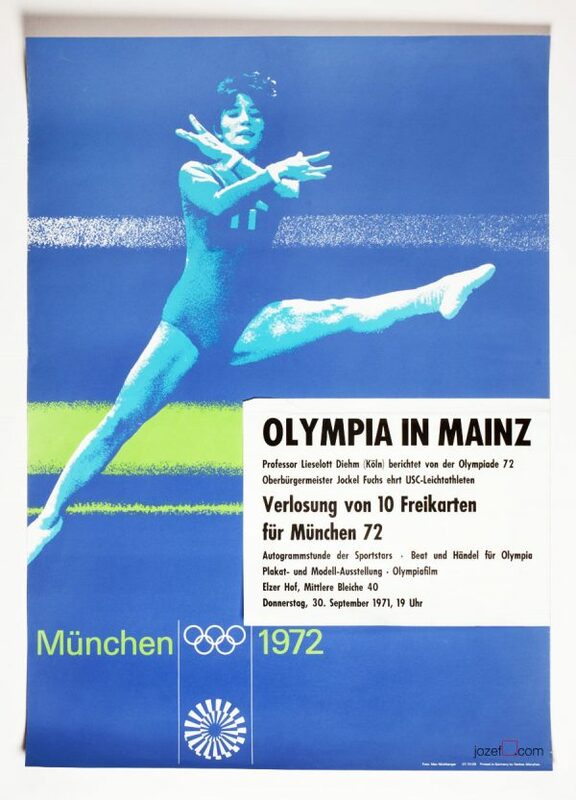 Be the first to review “Vintage Poster, Munich Olympics – Sailing Poster, Otl Aicher, 1972” Click here to cancel reply.